The FCMC notified the public about one month ago that it had imposed a fine of one hundred thousand lats (140 000 euros), the maximum prescribed by regulations, but it continued its practice of not disclosing the identity of sanctioned banks. The FCMC fined the unnamed bank for inadequate checks of client transactions between 2007 and 2008. The Hermitage Fund, the former client of the deceased lawyer Sergei Magnitsky, claims that after 2007 43.5 million dollars of the money it alleges was stolen in this matter went through Paritate Bank, as PrivatBank was then called. Re:Baltica has learned from the FCMC that the sanctioned bank has appealed the decision to impose the fine. The Administrative Court, the first court of appeal in such cases, has received only one appeal from a bank in the last four months. That appeal is from PrivatBank and was submitted on June 19, appealing an FCMC decision taken on May 16, 2013. The contents of the appeal are not publicly available. The FCMC refused to tell Re:Baltica the date of its decision to fine the bank in question. The FCMC Chairman, Kristaps Zakulis would not specify the regulation on which he based his refusal to identify the date of the decision, stating “From the question, we see that you are trying to get this information with technical methods” (i.e. indirectly). 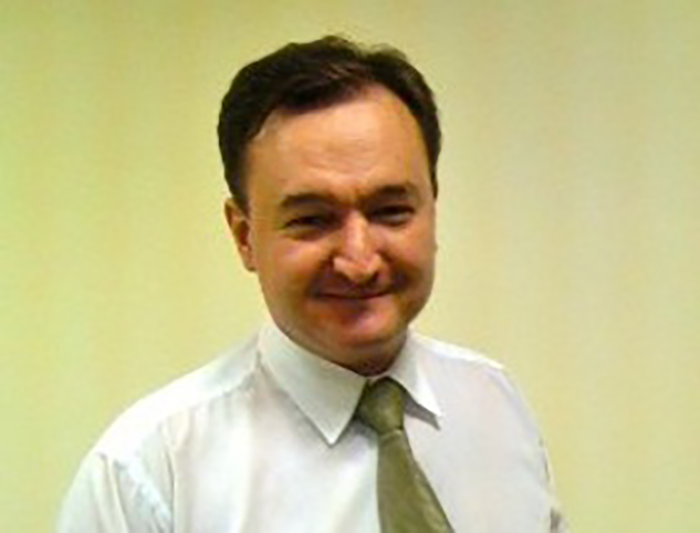 The FCMC stated in June 16 that it had investigated six banks whose names were mentioned in the press in connection with the Magnitsky case. Re:Baltica contacted all the publicly mentioned banks and asked them if they had been fined one hundred thousand lats. ABLV (previously called Aizkraukles Bank), Baltic International Bank, GE Money Bank and Trasta Komercbanka all said they had not been fined, Rietumu Bank stated that they did not reveal such information. PrivatBank refused to answer our questions. “We cannot provide any information which relates to the bank. You know the laws in Latvia”, said Irina Grzibovska, the director of PrivatBank’s legal department, in a telephone conversation. PrivatBank of Latvia is owned by PrivatBank of the Ukraine, which describes itself as the ninth largest bank in central and eastern Europe. In Latvia it is the eighth largest bank by assets. Zakulis stated that the FCMC had imposed the maximum fine of one hundred thousand lats in this case because of earlier offenses by the bank in question. “In this instance, looking at the history of other fines and earlier measures, which the FCMC was forced to impose on the bank in question, the situation reached a threshold where we had to take strong measures”, Zakulis stated. The next more severe punishment would be the revocation of the banking license. Since 2006 the FCMC has imposed the maximum fine four times, each time not revealing the name of the bank. According to the FCMC, revealing the name of the bank would be contrary to the law governing credit institutions. To Re:Baltica’s objection that the law permits the FCMC to name sanctioned banks, Zakulis responded, “Technically that is true”. He explained, however, that the FCMC planned to continue the practice of not naming the banks in order to ensure “financial stability”. According to him, depositors might otherwise irrationally start to withdraw money from the bank, leading to turmoil. This argument is unfounded, according to Morten Hansen, the head of the economics department at the Stockholm School of Economics in Riga. He points out that although Latvians may react irrationally in some cases, as when some depositors withdrew money from Swedbank (on the basis of untrue rumours), such a situation would be unlikely to arise in the case of PrivatBank, which is focused on foreign clients. Moreover, the fine to the “bank is like a mosquito bite. It is not a significant amount,” Hansen points out. On twitter Latvia’s foreign minister, Edgars Rinkevics, expressed his view that the names of banks punished in the Magnitsky case should be disclosed. Zakulis stated that names of sanctioned banks would be publicized from next year, when the EU capital adequacy directive comes into force. This directive obliges regulators to publish the names of punished banks. Ieva Azanda, a Latvian lawyer, considers that the law as it stands already allows the FCMC to name the sanctioned banks. “The main objective of the law is to protect banks‘ customers. But information about the credit institutions which essentially committed an administrative offense can be made ​​public”, said Azanda. The names of sanctioned banks are publicized in Sweden, the U.K. and in the United States, Re:Baltica has learned. In April of this year, for example, the Swedish bank regulator publicly fined Nordea Bank 30 million Swedish kronor for failing to prevent money laundering.